Update: Korean Air is no longer a Chase Ultimate Rewards points transfer partner. Savvy travelers know Korean Air SKYPASS miles aren’t just great for booking Korean Air flights. Using Korean Air miles, you can also book award seats on all 20 Skyteam alliance airlines, like Delta, Air France, and KLM. Or on 7 non-alliance partners, like Alaska Airlines and Hawaiian Airlines. In this post I’ll show you how to book flights to places like Hawaii, Europe, and Morocco! I’ll highlight the most important partner airlines and best sweet spots. And show you step-by-step how to book SkyTeam partner awards online. Korean Air miles are special because you can use them to book First Class seats on certain SkyTeam airlines. 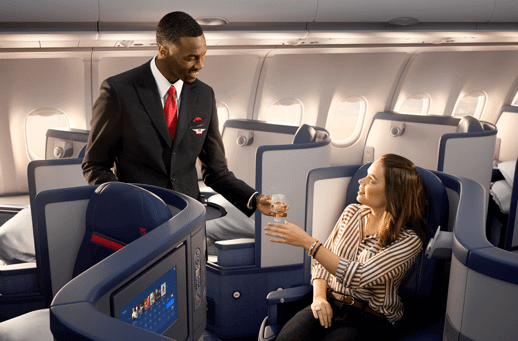 To compare, you can NOT use Delta miles to book partner First Class seats, even though they’re also part of the SkyTeam alliance. Note: You can NOT book Air France First Class with any partner airlines’ miles. Because they only allow First Class award bookings using their own Flying Blue miles. Korean Air has an award chart for all SkyTeam airlines from North America. However, you can NOT book one-way tickets on partner airlines, only round-trip. Each non-alliance partner has their own award chart. For these airlines, you can NOT book all flights. Your desired route must be on that partner’s award chart to book. On the SkyTeam award chart, there are a few particularly good deals. 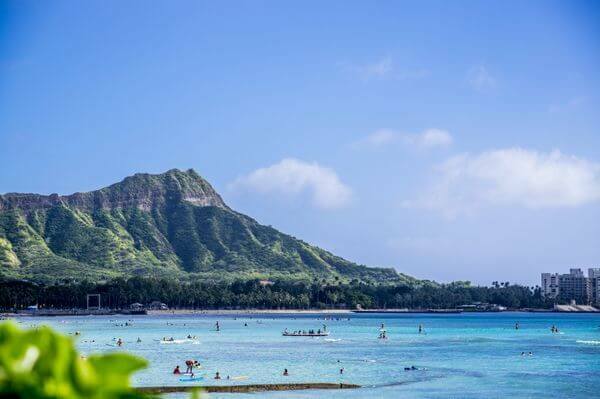 This means that you can fly from anywhere in the continental US to Hawaii for only 25,000 Korean Air miles in coach on SkyTeam partner Delta. If you used Delta miles, the same seats would cost 45,000 Delta miles! Note: You can only book award seats using Korean Air miles that show at the low-level saver rate on the Delta website. If you select the exact same flights through Korean Air, you only pay 25,000 Korean Air miles. You can also fly to Mexico, the US Virgin Islands, and Puerto Rico for the same amount. … and the Exact Same Flights Are Only 25,000 Korean Air Miles! This really is an amazing deal. 25,000 Chase Ultimate Rewards points are worth ~$313 towards flights in the Chase travel portal when you have a Chase Sapphire Preferred, Chase Ink Business Preferred, or Chase Ink Bold or Ink Plus (no longer offered). And worth $375 if you have the Chase Sapphire Reserve. For example, a round-trip coach ticket from Miami to Honolulu can cost ~$900, so if you transfer your points to Korean Air miles instead, you’re getting over $500 more value than buying flights using the Chase travel portal! To compare, the cheapest Delta award flights to Europe cost 30,000 Delta miles round-trip in coach, or 125,000 Delta miles in Business Class. Since coach tickets to Europe can be quite cheap, the best deal is to use points for Business Class. United Airlines, a Chase Ultimate Rewards transfer partner, charges 140,000 miles for a round-trip partner Business Class ticket to Europe. By transferring your points to Korean Air miles instead, you’re saving 60,000 miles over United Airlines! One amazing thing about Korean Air is their stopover and open-jaw rule. A stopover is visiting another city for 24+ hours. An open-jaw is when you fly into one city but fly out of another, making your own way between cities. On a round-trip SkyTeam award flight, Korean Air lets you have 1 stopover and 1 open-jaw. You are allowed up to 2 connections from your city of departure and your destination. A stopover counts as a connection. The open-jaw must be in the same award zone as your destination, and must occur after reaching your destination. The stopover can be on the outbound or the return. For example, you could fly from New York with a 1-week stopover in Milan. 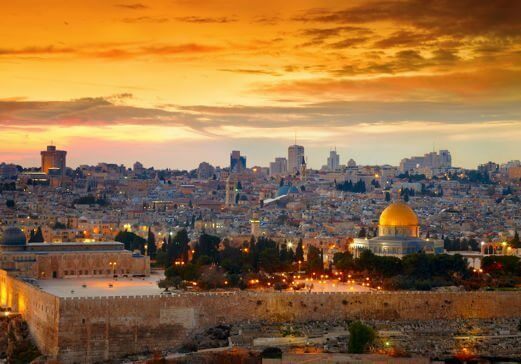 You could then fly from Milan to Casablanca via Paris, which is your destination. You could then take a cruise from Casablanca to Athens, where you’d fly home with a connection in Amsterdam. All of this would only cost 50,000 Korean Air miles in coach, or 80,000 Korean Air miles in Business Class! 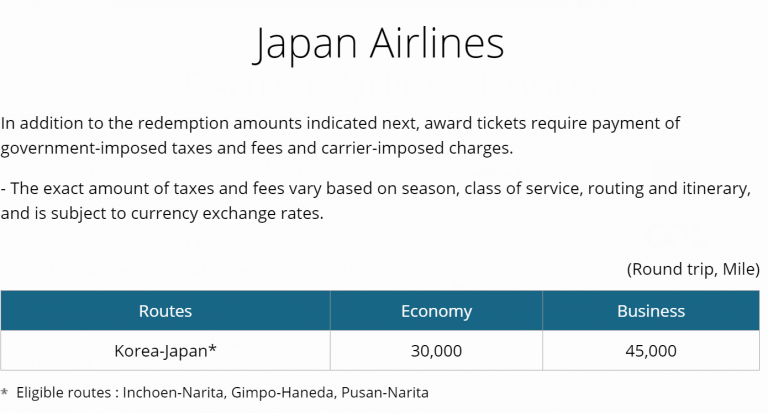 Korean Air charges the same taxes and fees on award flights as a paid ticket. For international tickets, this can be expensive, especially with flying to Europe where fuel surcharges are high. Because airlines have different fuel surcharges, the amount may change based on which airline you’re flying. For example, a round-trip in coach on Alitalia from New York City to Rome costs ~$121, but when you add a Delta flight in both directions, it jumps to ~$457! You can book almost all SkyTeam award seats online at Korean Air’s website. Korean Air’s search engine is excellent, and you only need to call Korean Air to book if the search engine gives you an error. But you can NOT book non-alliance airlines online, so you’ll have to call Korean Air at 800-438-5000 to book. You can mix airlines on SkyTeam award bookings, but can NOT mix non-alliance airlines with SkyTeam airlines. Go to the Korean Air award booking page and log-in to your account (free to join!). Once logged-in, you’ll see the award search engine. You do NOT need miles in your account to search for flights. Suppose you wanted to search for a round-trip ticket from New York – JFK to Paris. This costs 50,000 Korean Air miles in coach or 80,000 Korean Air miles in Business Class. You can only book award seats for yourself or family members, and family members must be registered prior to booking. I’ll explain in a later post how to register family members under your account. The search engine will give you a list of flights for the outbound and the return. Select which flights you want. In this case, I’m avoiding Delta because they have much higher fees than other airlines. After selecting your desired flights, scroll to the bottom of the page and click “Calculate.” This will calculate the miles and fees required for the ticket. You Must Click “Calculate” to Get the Final Damage! Once you’re happy with the selected flights, click “Continue” under the price quote. If you have enough miles for the ticket, you will enter passenger information and pay the taxes and fees with a credit card. If you don’t have enough miles in your account, you’ll have to transfer enough flexible points to proceed. 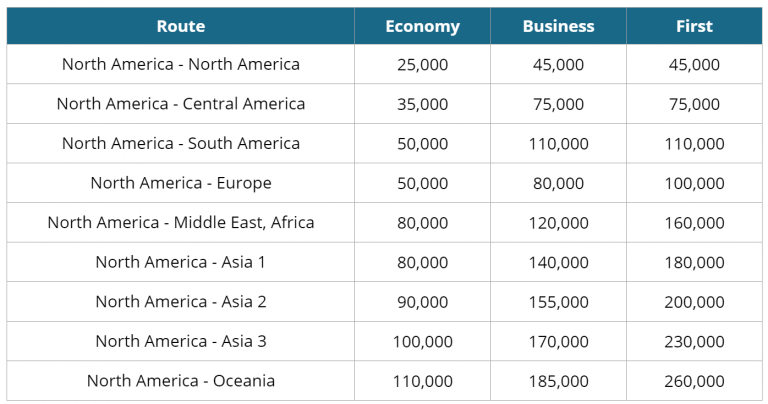 Korean Air offers amazing value for flights to Hawaii and Europe when you use their miles for partner award seats. Because you can have a FREE stopover and open-jaw on one ticket, you can visit multiple countries for one price! Earning Korean Air miles is easy by transferring flexible points from Chase Ultimate Rewards and Starwood. While Korean Air miles SkyTeam awards aren’t perfect for all trips, they are valuable for several sweet spots. 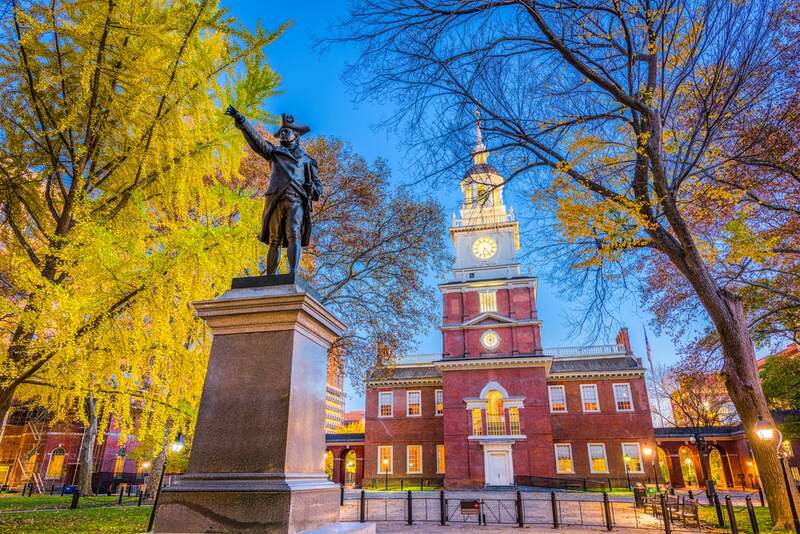 With a free stopover and open-jaw, you can see multiple cities for the price of one. Next, I’ll show you how to book flights for family members using Korean Air miles. Hi, I am trying to book or redeem flights from HNL (I live in Honolulu) to ATL or RDU on the Korean Air website. I have been flying to Korea and took advice to accrue Korean Air miles. 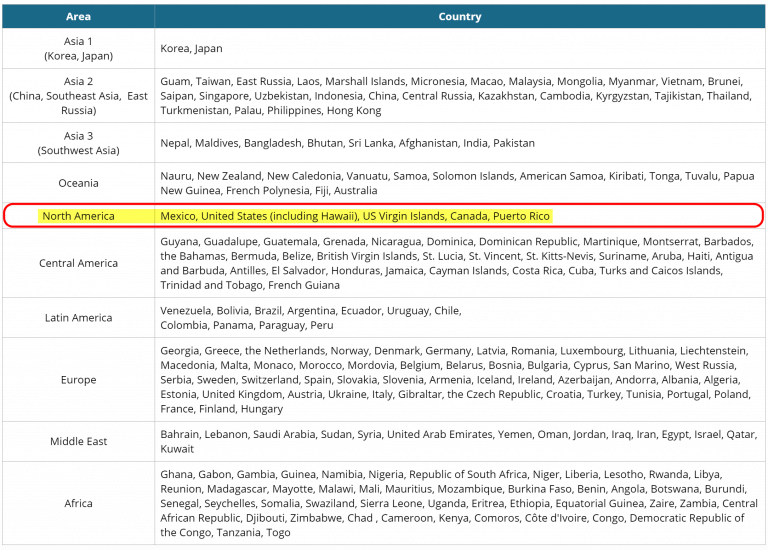 However, when I even search for flights from HNL to anywhere in the mainland USA it says “The same region cannot be selected as airports for departure and arrival.” Am I doing something wrong? Thanks in advance! I tried random dates in Sept, Nov, and Feb. Then I went to near end of schedule in March trying to duplicate what you did. NYC to Paris. Zippo. Is this no longer possible? 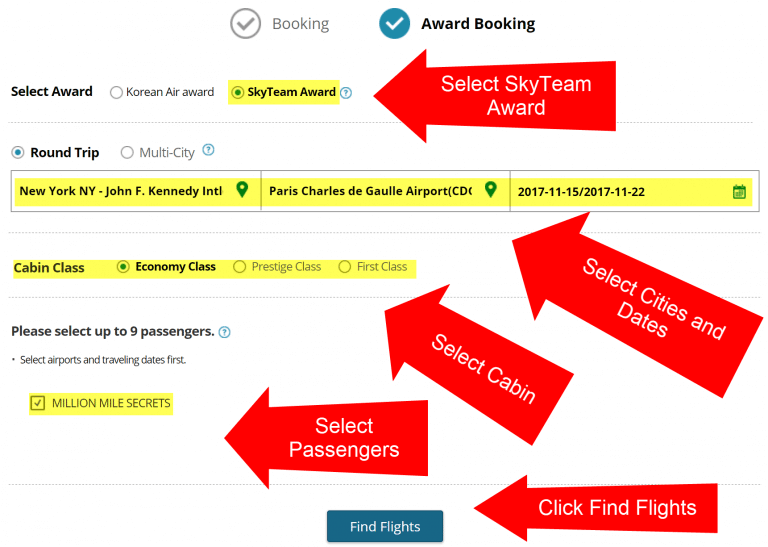 You can still book Korean Air partner awards, but it can be hard to find open awards. Did you try searching on ExpertFlyer first to find seats and then looking on the Korean Air website with those dates in hand? 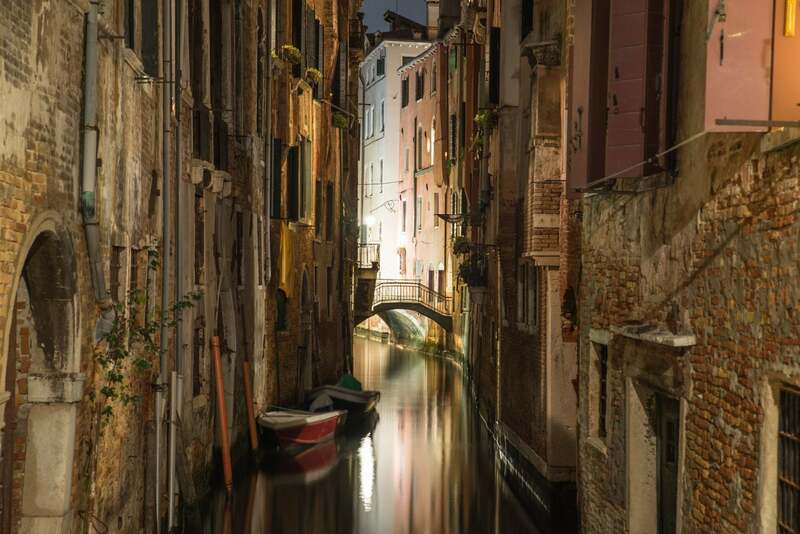 Can you do a stopover in Europe en route to Asia? If not, which programs allow this? TIA. I’ve tried for months to get from East Coast to any of the Hawaiian Islands using Korean Air points with no luck. was able to duplicate example to Europe; but, cannot for Hawaii. Tried departure cities of Atlanta, Denver and Orlando to KOA or HNL. Also, tried multiple dates. Got not results. Does this mean no availability? Can you send example where you got results?